Can anybody recommend me a good portable burner from Amazon for hot sauce making? I'm looking around the $40-$50 range, but I'm not entirely sure what to look for. I mainly want it so I don't fill the house with fumes, especially since I'm going to be experimenting with some reapers this summer. Thank you in advance! Is your range gas or electric? 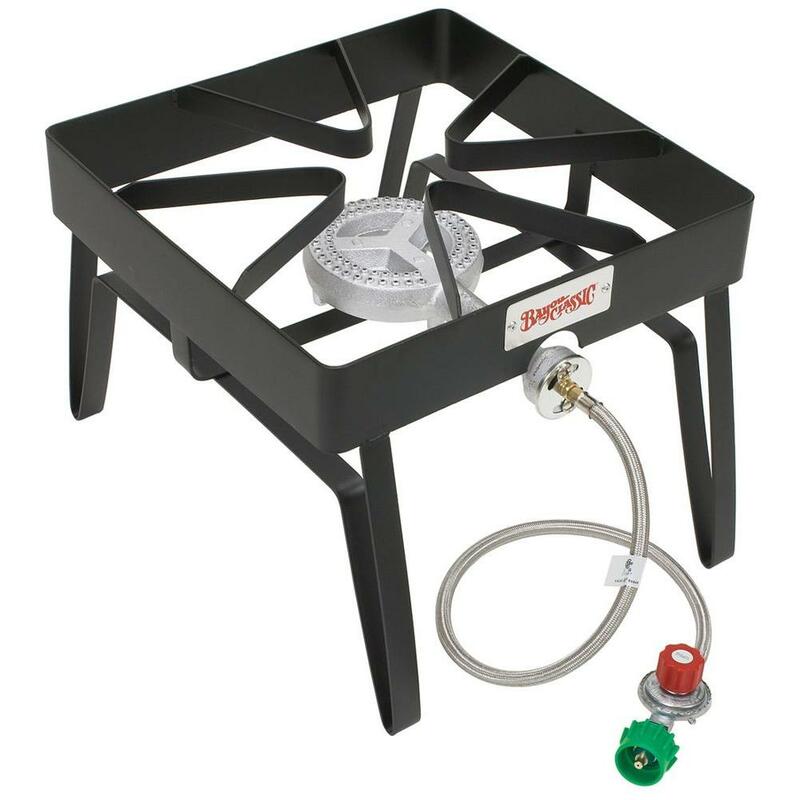 If electric, it's always nice to have a gas burner for certain dishes. Otherwise, I would suggest a nice induction burner. Very safe to use in any room of the house. Inside the house I have a gas stove, but like I said, I'm mainly looking for this so I can cook hot sauces outside. I'll look into induction burners though! They are safe, not hot to the touch, so very safe to use in areas that were not designed for cooking. You would need to make sure the pot was compatible. I have two of these. Bought them for camping after using the Waring version of them on a couple of catering gigs. One is 5 years old, the other is 3. I keep them in the crawl space most of the year and they run fine when I bust em out 5 or 8 times each camping season. Quicker to heat/cook with than portable gas camping stoves (IF you're camping where there is electricity) and they will pop popcorn or fry fish easily. The cast iron element remains pretty hot after you turn it off, but that's my only complaint and that's true of most electric burners. edit: the induction burners pookie linked are excellent as well. Edited by SmokenFire, 03 February 2019 - 03:49 PM. I have a 240v Avantco, one on the list that Pookie posted. Only used it once for something other than hot sauce, but it seemed to work well. If you get one, be aware of the wattage. The 1800watt burner will draw 15 amps at 120 volts. That will trip a 15 amp circuit. It will work on a 20 amp circuit, but if anything else comes on ( I'm thinking of a garage circuit with a fridge or freezer) it may pop the breaker. As long as you are aware, wont be a problem. I'm sure your family will appreciate the reaper sauce being cooked outside! Have fun! Keep us posted. Edit-if you use an extension cord, use a heavy duty 12 gauge one. Edited by salsalady, 03 February 2019 - 05:14 PM. I have one of the basic little electric burners; it lives outside on the patio bench (boxed) for the same reason you cite, keep the fumes outside. Nice for an electric campsite, too.Sometimes I bring the toaster oven outside. Why not just a propane tank and burner....people use them all the time outside for canning tomato sauce and so on,they can hold a heavy pot so you can make big or small batches all in one shot. Anything like this would work in my mind. Another good choice for sure! In my opinion, it doesn't really matter what you buy if all you're doing is hot sauce. You're not looking for blazing BTUs or anything that comes with the higher end units. Buy the cheapest thing you can find. That burner looks really sweet. I have one of the bigger turkey fryer burners but it would be overkill for my needs. Have you considered one of those briefcase-sized propane stoves? I have one and it can open out flat. It's made to use a small propane bottle bur you can get an adapter to connect it to a 20# tank. Plus, you get two burners, so you can run two pots at once. And, you can take it to a picnic or campout. This is true, however I want something that will still last and not break after just a few uses. Especially when it comes to electronics, I don't want something really cheap.